You know the summer movie season is officially over when people start flocking to see films about subzero temperatures. Everest, that star-studded, mountain-climbing disaster movie, made a cool (see what we did there?) $7.5 million on 545 IMAX screens, ahead of its release this week in boring old regular movie theaters. It’s a pretty unprecedented move; though Mission: Impossible—Ghost Protocol jumped into large format first a few years ago, it did so on the strength of a pre-established franchise and a cushy holiday-season release date. Everest banked on audiences knowing that a movie about people foolishly scaling an enormous mountain demands to be seen on the largest screen possible, the better to appreciate its punishing glimpses into the awful abyss. We’ll have to wait another week to see how the film does in standard release, though it’s probably safe to declare this yet another victory for Universal, the Everest-climbing daredevil superstars of Hollywood movie studies. The official winner of the weekend was The Scorch Trials, which ditched the maze but not the running aspect of its surprise-hit predecessor. The YA sequel landed in first place with $30.3 million—a hair less than the original made out the gate, but certainly enough to insure that Thomas and his determined teen posse will be bolting through a new post-apocalyptic scenario this time next year. Speaking of more or less meeting expectations, Black Mass shook down American audiences for $23 million, which is around the same amount that previous Warner crime movies The Town and The Departed made in their inaugural weekends. As The Visit and The Perfect Guy both took significant dips in patronage while still holding down the next two spots on the box-office charts, War Room continued to satiate the big-screen needs of its faithful demographic. That same audience did not, however, make much room for Captive, another Christian-themed entertainment that grossed just $1.4 million on about 800 screens. 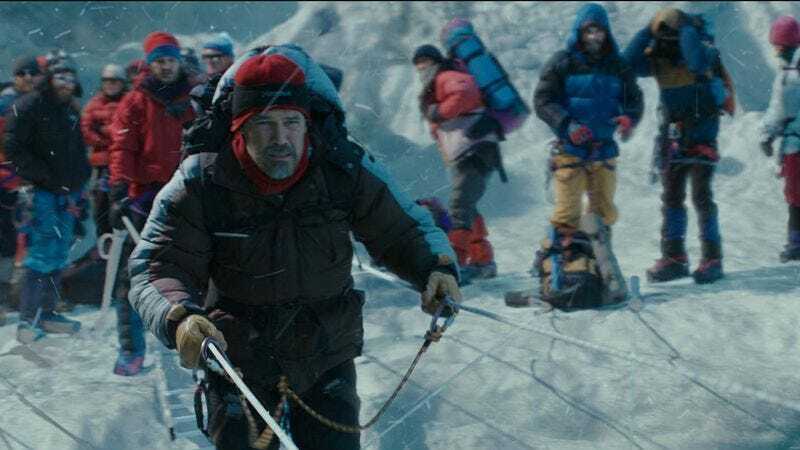 No, the week’s big sleeper success story, behind Everest, was probably Sicario, the hellish drug-cartel thriller that did gangbusters business in very limited release. Opening on only six screens, it made a staggering $390,000, for a $65,000 per theater average—a record for the year, in other words. That’s another sign the warmer weeks are behind us: Cannes contenders, not superhero fantasies, are breaking records.